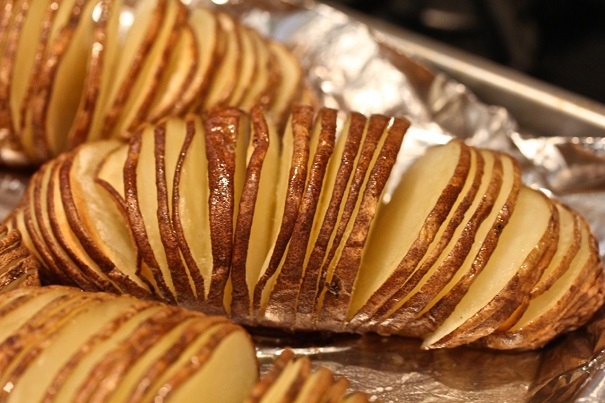 Turning potato on its long side, slice thin strips down into, but not through, the potatoes. Dab butter and salt between slices of potato and cook in preheated 425 degree oven for one hour. Just before serving, add dollop of tzatziki on top of potato.